This a-line chiffon skirt is so pretty & flattering! 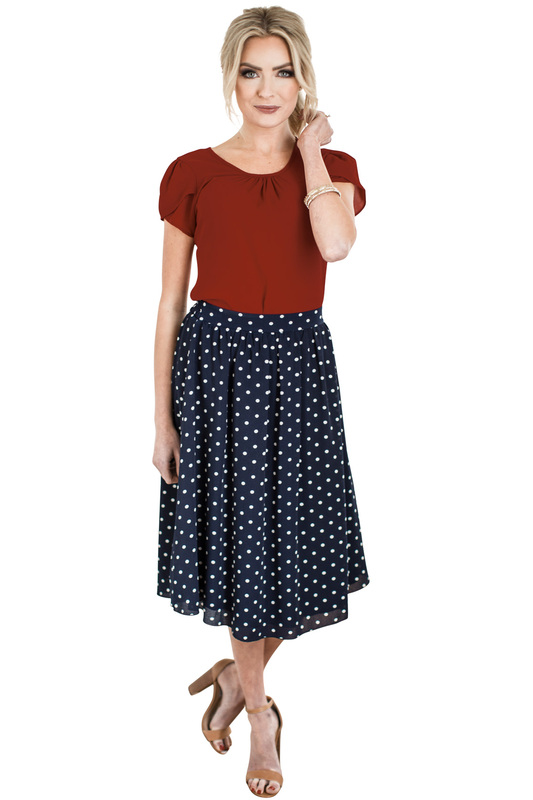 It's fully lined with a semi-sheer chiffon overlay covered in adorable polka dots! Flat front waistline looks great with a tucked-in blouse, and the back waistline has stretch elastic for the perfect fit. Slip-on style, no zipper & long enough to cover your knees, even when sitting. Looks great with a solid top, or try the mixing patterns trend & pair it with a fun floral top! Either way, you'll love how stylish & comfortable this skirt is! 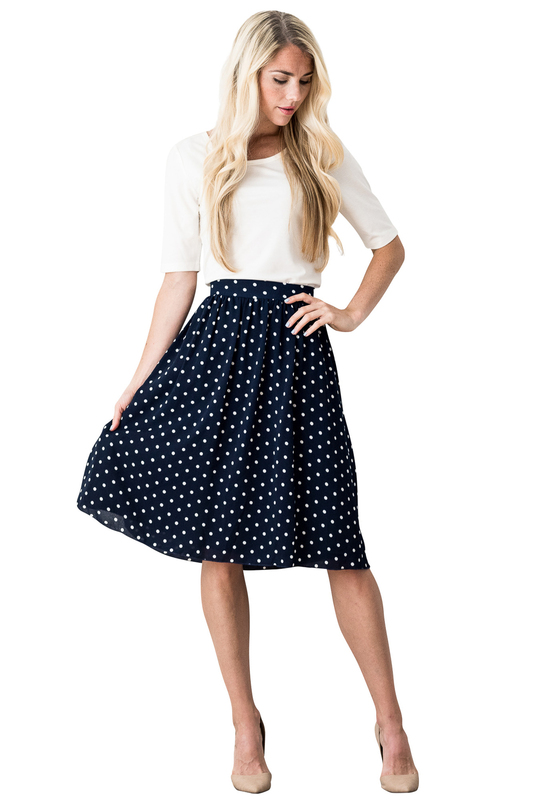 Skirt is also available in Dark Mauve w/Polka Dots and Peachy Pink w/Polka Dots. Worn here with our Drape Chiffon Top in Ivory, Round Neck Top in Off-White and Chiffon Top in Deep Red. Total Length: XS-S 24", M-L 24.5", XL-2XL 25"